The picturesque mountaintop village of Gordes, Provence. 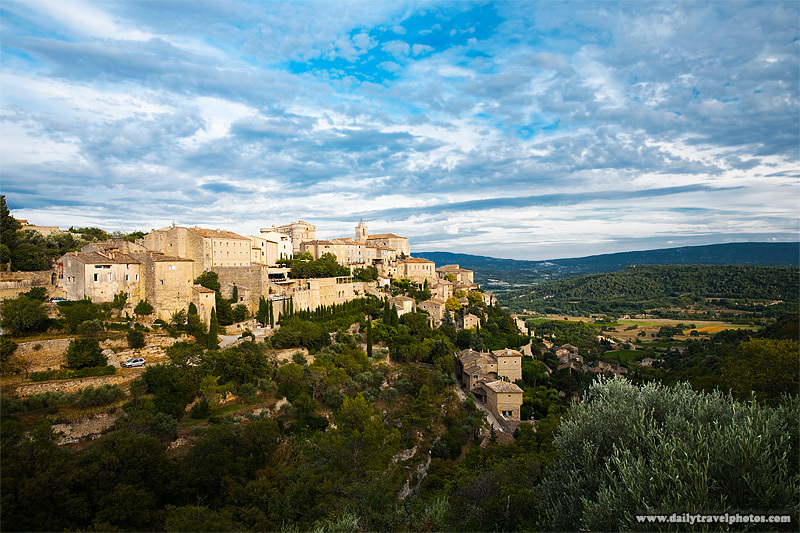 Gordes is easily one of the most breathtaking villages in all of France. Buildings throughout the village are constructed of a honey-colored brick and topped off with terracotta tilings. I drool at the thought of returning here during the Provençal spring bloom.